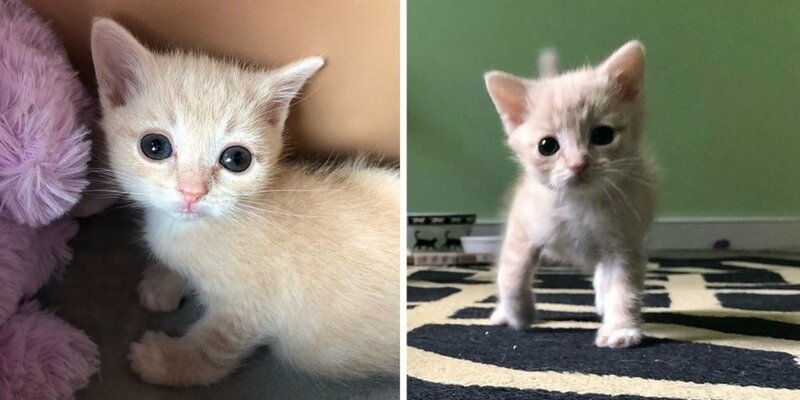 Kitten with Crooked Legs, Half the Size of Other Kittens, Finds Someone to Help Her Walk and Grow – Animal Lovers Unite! 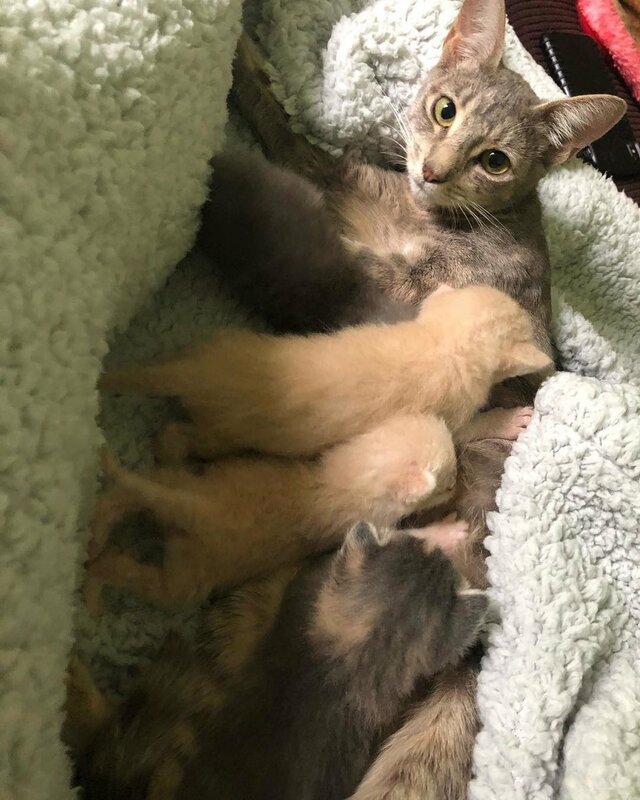 A few weeks ago, four tiny kittens along with their cat mom were brought to a local shelter in need of help. 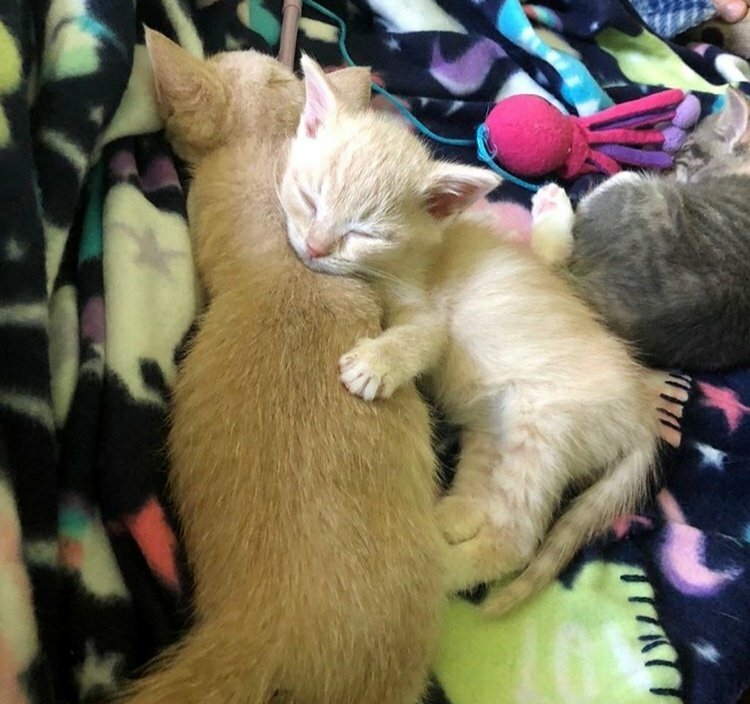 Henrico Humane Society in Richmond, Virginia took them in and immediately arranged a foster home so they could be cared for in a home environment. 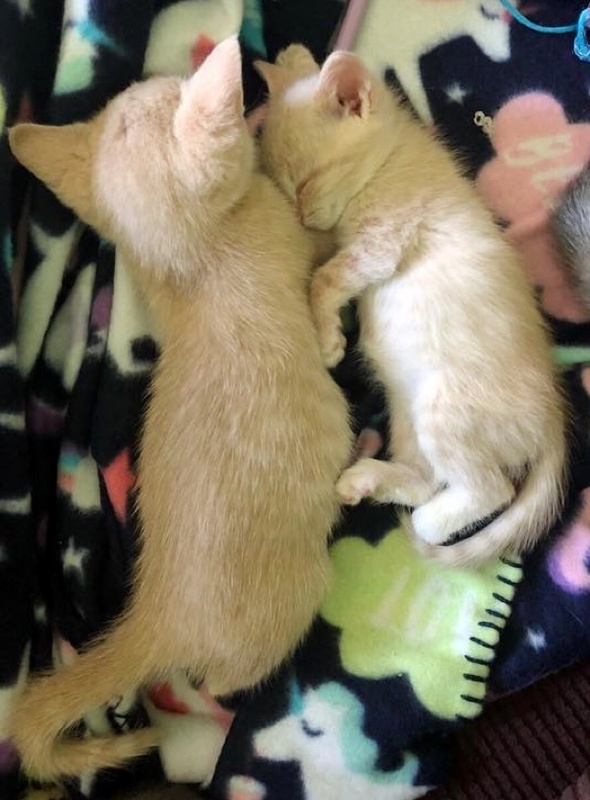 “We were called the same day (they were rescued) and were able to take mom and the babies home to foster them,” Krystle Waldron, a volunteer of the rescue, told Love Meow. The kittens all had upper respiratory infections but one of them had the biggest fight. Pukini, the runt of the litter, was born with deformities in her legs. 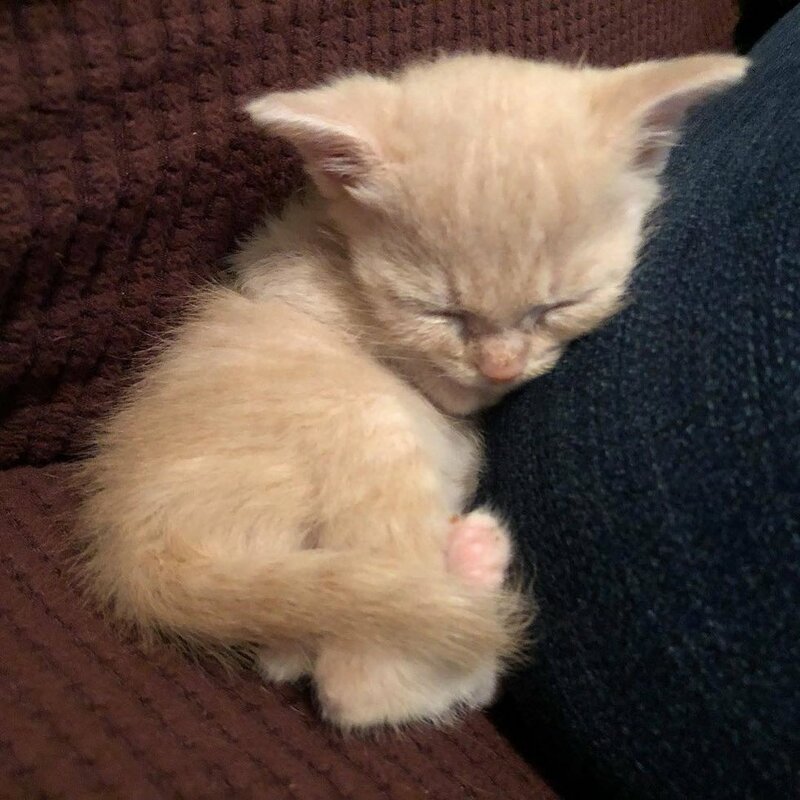 She was less than half the size of her siblings and was having trouble growing. Her eye infection was the most severe out of her litter. 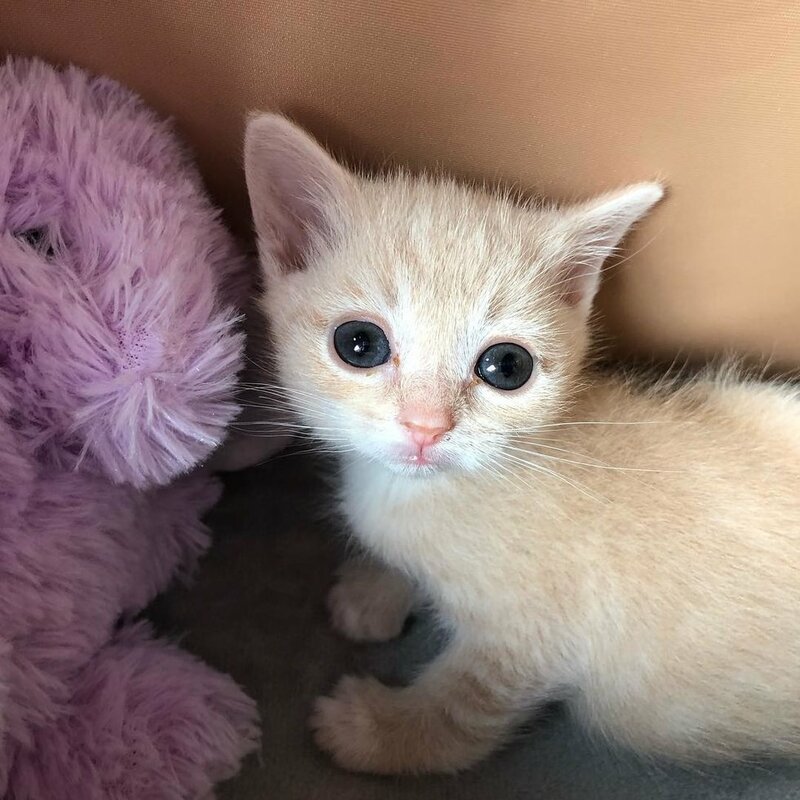 With round-the-clock care in a comfortable home, Pukini and her siblings bounced back and no longer had goopy eyes and runny noses. She was still very behind in growth and needed some help with her walk. When she gets tired, she naps to replenish and gets up and plays again once she’s fully recharged. 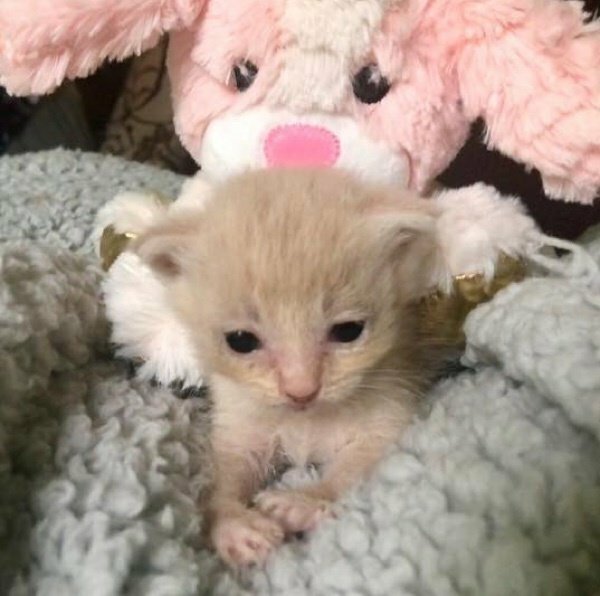 Pukini is about nine weeks old now and has finally reached the one-pound milestone. 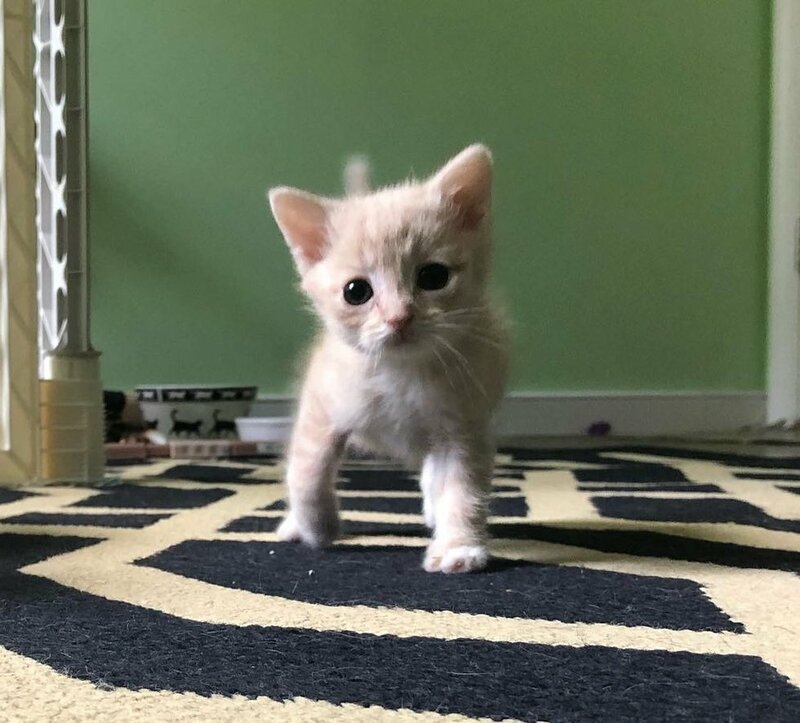 She’s still much smaller than her siblings, but what she lacks in size, she makes up for in her endearing personality. 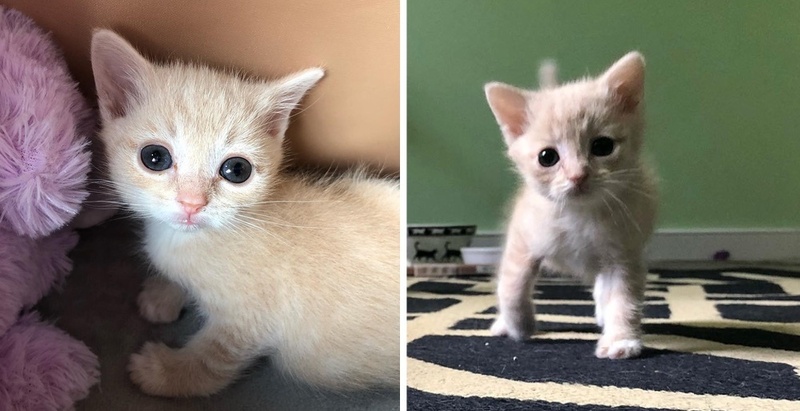 “She’s become a really feisty, playful little kitten. I don’t think she has a clue that there’s anything wrong with her, and she doesn’t seem to be in any pain,” Krystle said. 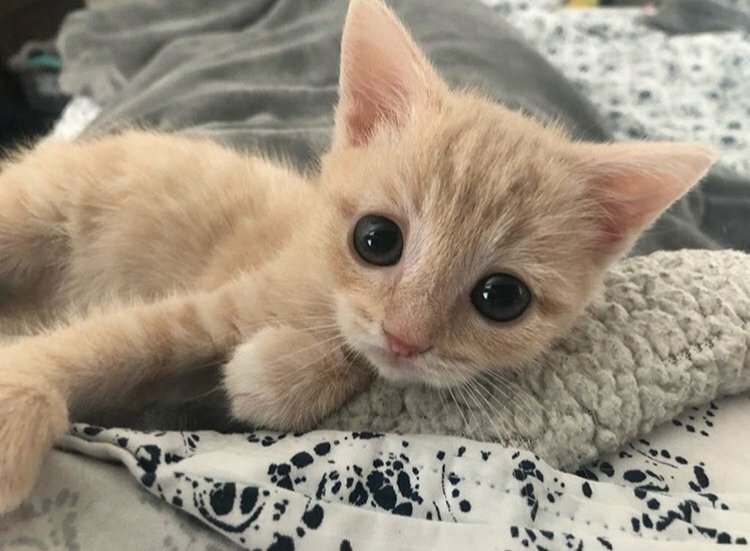 The little kitty has come so far since the day she arrived. She continues to make strides every day. Pukini may stay tiny forever, but she’s a mighty warrior. Share this story with your friends. 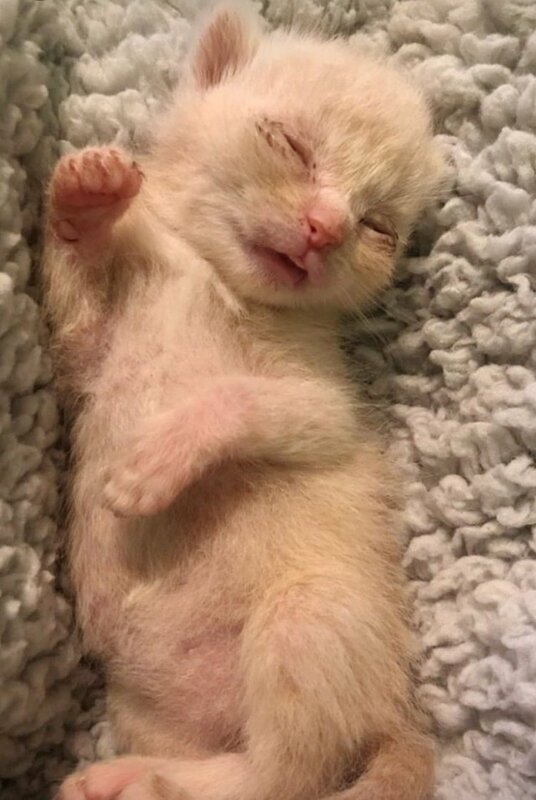 Follow updates on this warrior kitty on Instagram. If you would like to support their rescue efforts, click here to see how you can help.